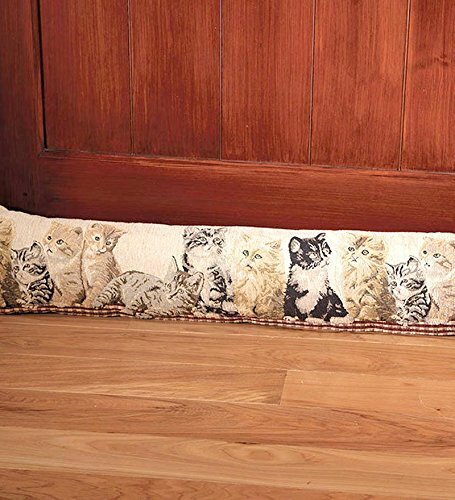 Make your door adorable and add the kind of warmth that only kittens can give. You'll stay cozy with a smile when you use these stoppers to block drafts, making your home more comfortable and more energy efficient. Tapestry fabric with polyester filling. Imported. This listing is for kittens. Size: 8"w x 34-1/2"L.